So, anyone who is handling an exhibition organization, event or retail store may opt for out Digital Prepaid Gift smartcards. We specialize in offering reliable and fair deals on gift cards and we can also help you to make wise and informative decision so as to improve the bottom line of your business. 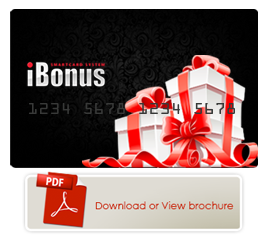 If any assistance is required related to Digital Prepaid Gift smartcards then feel free to approach us at +971 4 3338681 or write us an email on iBonus@avi-infosys.com and one of our representatives will get in touch with you.